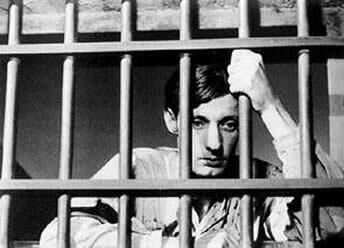 We do not know if Robert Bresson was born on September 25th 1901, or on September 25th 1907... But if the second date is the correct one, then this year we would celebrate his 100th birthday... But even if this date is incorrect, his body of work would easily entitle us to feel inspired, and thus inquisitive. We ask you to design a house for Robert Bresson, this "philosopher with a camera" as he sometimes was called. So how would a house for Bresson look like...? Would it be stripped to its essentials...? Would it have no trace of sensuality...? Would it be sordid, like the cells of the main characters in Pickpocket and The Diary of a Country Priest...?! Would it be inspired by Pascal, or Dostoevsky, or Bernanos...? Or would it be a house for a "Christian atheist," as Bresson described himself...? Whatever the source of inspiration might be, it is without doubt that Bresson's films make us feel and think differently. In an age obsessed (for how long?) with material values, Bresson tests our feelings and our intelligence with something else. No doubt, then, that he challenged us with the following words: "Art is not a luxury, but a vital necessity."